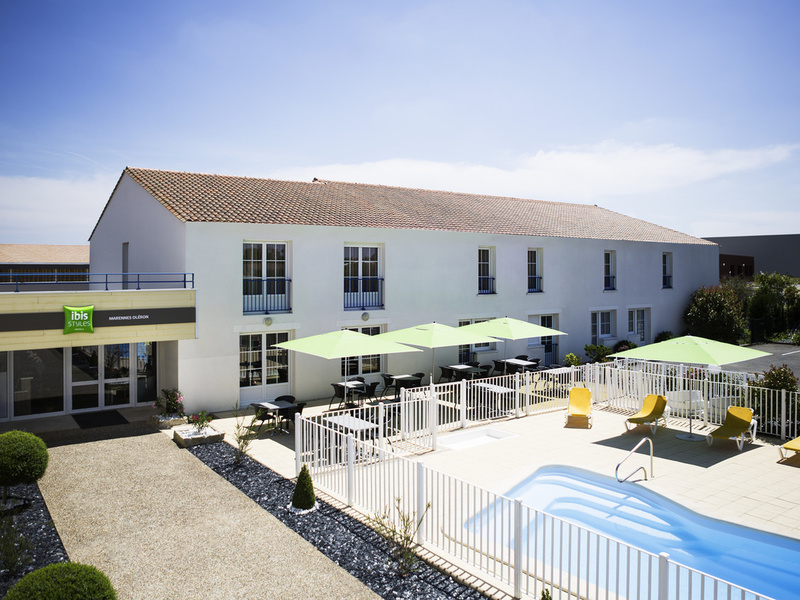 Located on the Rochefort-Oléron road in the city of Marennes, the ibis Styles Marennes Oléron hotel is the ideal base for your business or leisure trips. Just 5 minutes from the magnificent fine sandy beaches and halfway between Marennes/Oléron oyster beds and the wild coastline around Roanne. The hotel offers 40 air-conditioned rooms, a restaurant, a terrace and an outdoor pool where you can relax and have a good time. Breakfast and unlimited WIFI included in all prices at ibis Styles. 20, rue des droits de l'homme. Warm, spacious, welcoming and modern, with a comfortable bed and a practical bathroom, our rooms have everything you need for a comfortable stay or to relax after a hard day's work. Standard Family Room with a double bed and a double sofa bed. With a friendly, relaxed ambience and wisteria-lined terrace, our restaurant offers tasty, homemade dishes and daily specials that blend local flavors from land and sea.